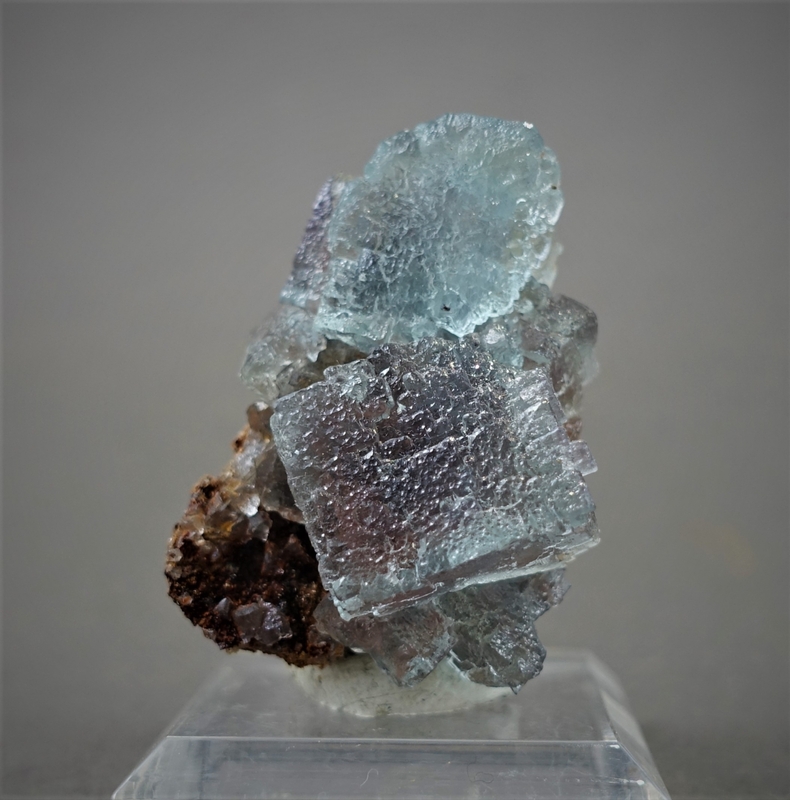 Lovely fluorite cluster from Lavrion Greece! Very good transparency and light blue color with distinct cubes! Characteristic of the pocket is also the etching on the crystals surface!